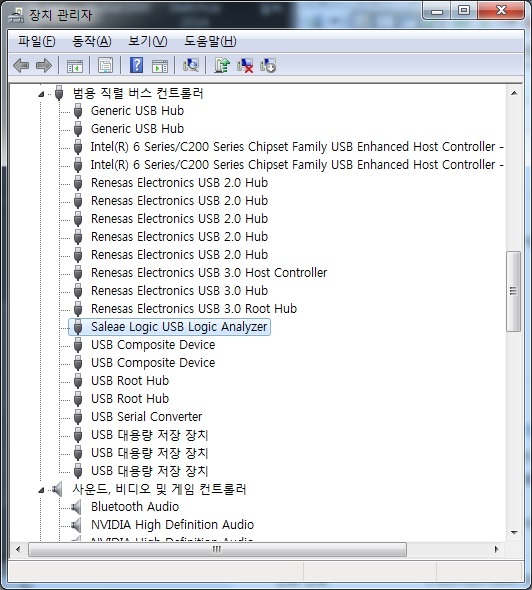 PC 에서 전용 프로그램 기동 후 사용되는 제품입니다. 아두이노를 비롯한 각종 센서 모듈에 대한 측정이 가능합니다. 해상도는 24MHz로서 웬만한 센서,측정 모듈에 대한 오실로스코프 측정이 가능합니다. 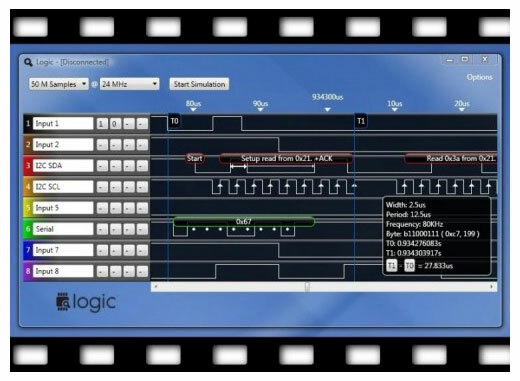 This logic analyser contains generic Cypress CY7C68013A microcontroller based hardware.It is re-programmable so that quite flexible in what you can do with it. 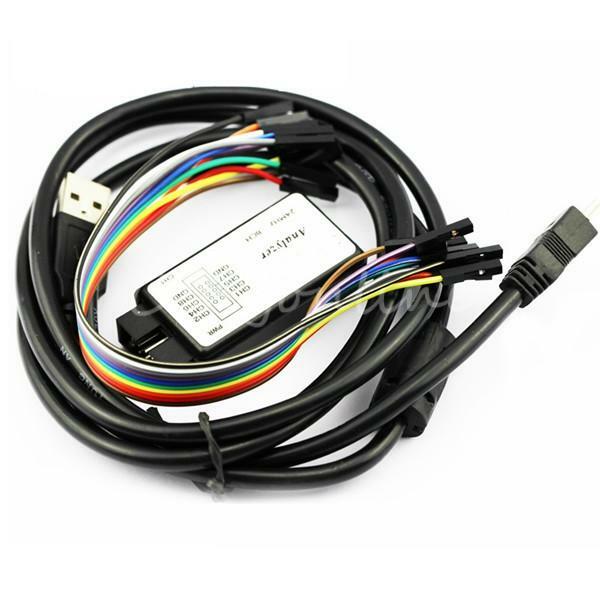 By default its USB interface is programmed with a VID (Vendor ID) & PID (Product ID) identification which makes it appear as a logic analyser and therefore will work with this software out of the box. However the VID & PID can be changed to anything you want which can allow it to work with other software such as USB. 연결된 상태에서 프로그램 설치시 자동으로 드라이버 잡히게 되어 있습니다.